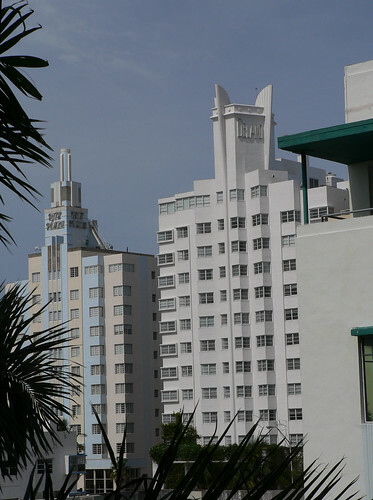 This photo shows the Ritz Plaza Hotel (L Murray Dixon, 1940), on the left, and the Delano Hotel (Robert Swartburg, 1947) at Miami South Beach. I find the façade of the Delano interesting with the angles of the walls providing corner windows to maximise the views from all rooms. 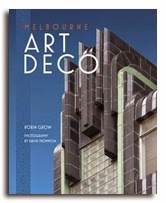 From a purely decorative perspective through, the tower with its soaring wings are the stand-out feature of the hotel. 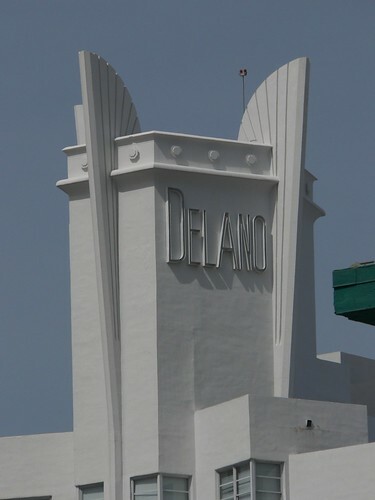 I like them Delano wings. Me too. It's a nice arrangement of elements.